This is a sampling of some of the many features included in our sims. Our simulations are currently available in English, German, and Dutch. Newer simulations as well as updates to existing simulations are being released in French as well. When you install a simulation for the first time, you will be asked to choose a language. The language can be later changed in the program settings, if you prefer a different language. Project Rheingold is a collection of 11 sims from Hürth-Kalscheuren to Koblenz-Lützel and includes stations like Bonn Hbf, all on the left side of the Rhine River. A high-resolution detailed picture of how these panels connect geographically is available here. Wuppertal sims: Wuppertal-Oberbarmen connects with Wuppertal Hbf and Wuppertal-Vohwinkel. These are not small panels and are challenging. A detailed picture of how these sims connect geographically is available here. Main-Weser-Bahn: Currently, consists of Marburg and Kirchhain. Smaller layouts and only one connection – great for beginners who want to try easier connections. Because we are constantly adding improvements and adding support for Line Operations to older sims, a valid license key is required. This allows us – the developers of these simulations – to make sure that everyone is up-to-date with the latest version of each simulation before doing Line Operations. The SpDrS60 panels consist of tiles. These panels are, in real life, often large – much larger than most computer monitors. One way to help with this is a feature called Tile Observers. This feature allows you to pick tiles and build your own custom “mini panel”. This is really useful for making a list of train number descriptor boxes, or for putting key pairs of signal buttons together. There are two versions of this feature: Fixed and Freeform. 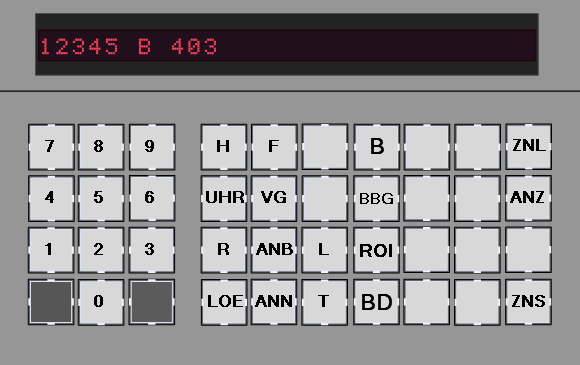 The Fixed panel observer tiles appear in a grid, while the Freeform panel observer tiles can be moved around and placed in any arrangement you like. The ZNP801 is a system used for communicating with neighbouring dispatchers in a minimal but structured way. Trains are offered and accepted or refused on certain tracks using the keypad, and the result of each operation is displayed on the LCD screen. One of the tools as your disposal as a dispatcher is the use of movement orders. 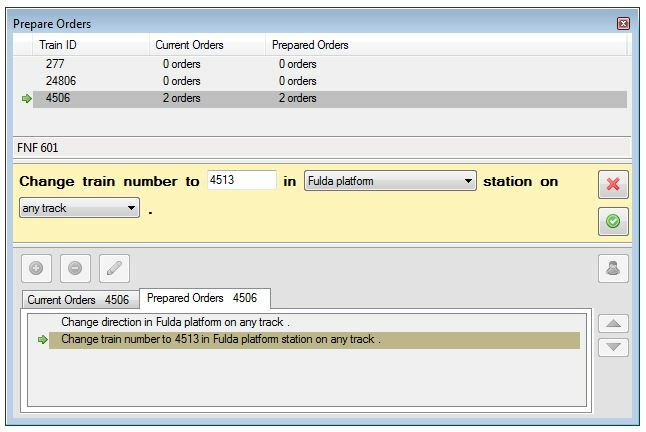 These are structured instructions that are designed to tell train drivers where to go and what to do when it comes to things like renumbering, coupling, uncoupling, turning around, stabling, and more.